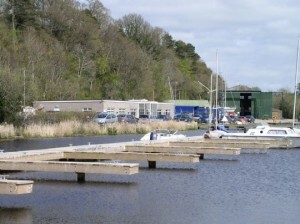 The Lough Erne Yacht Club sits on the eastern shore of Lower Lough Erne. It’s clubhouse, with full facilities, is located on the shore of Gublusk Bay. 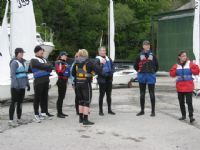 There are jetties and moorings to accommodate sailing and motorised boats of varying sizes with electricity and wifi available at many of them. The views are truly breath taking. 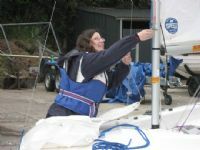 We run courses where you can either be introduced to boating/sailing for the first time or where you can improve on your existing skills and obtain recognised qualifications. Lough Erne is one of the most spectacular tourist destinations in Europe and offers unspoiled sailing and cruising waters with large areas of lake and river. It is not congested like many other waterways and you could cruise or sail for hours without meeting another vessel. There is no commercial traffic other than several sight seeing tours which are there to enjoy this nature-lovers paradise and abundant wildlife. 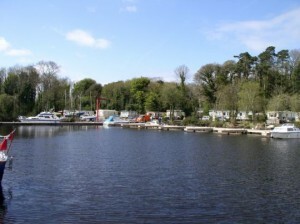 The Lough is also an anglers paradise with excellent coarse fishing and some game fishing. Lough Erne has many historic sites with ruins going back to the 6th Century and the amazing 12th Century settlement on Devenish Island all of which are within a short distance of the Yacht Club. Lough Erne can be a waterskier’s paradise as there are numerous bays and inlets where you will find shelter and calm conditions. There are public jetties located along the shores and on many islands where you can tie up free of charge overnight. Many of these jetties have stunning views. Lough Erne is a gourmet’s delight with many pubs and restaurants within walking distance of its shores. Lough Erne is the place for perfect holidays and it is easy to get to from both Belfast and Dublin Airports or from Ferry Terminals. 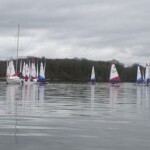 If you are looking for a beautiful location to enjoy sailing or boating of any type you won’t find a better location than Lough Erne Yacht Club. Find out more about our services and what we have to offer. There are stands for 11 static caravans, overlooking the bay. The club is located on Lower Lough Erne, Co Fermanagh about 6 miles north of Enniskillen just off the main Enniskillen-Kesh-Belleek Road. 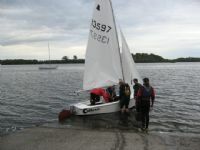 Find out more about coming events at LEYC including Regattas and championships. Keep up to date with all the latest news, reports, and happenings at LEYC. Visit our gallery to see what we and our members have been up to.